Looking for a quick and easy Mother's Day gift for the mothers in your life? 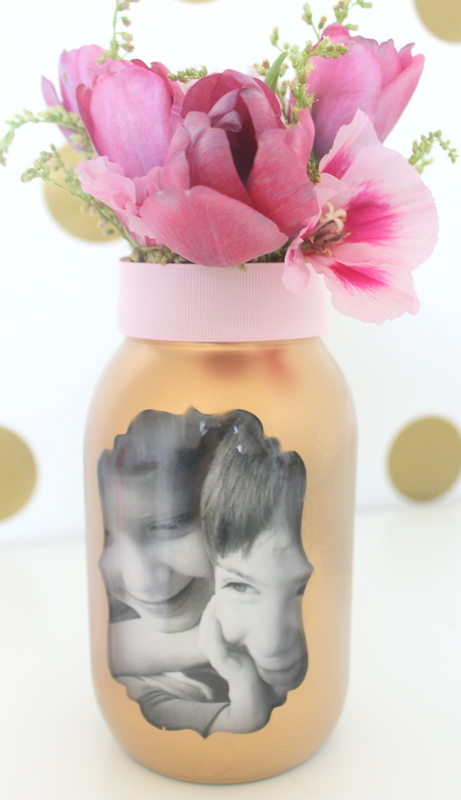 Check out this easy Mother's Day photo vase craft from Kristen and Missy from Sweetly Chic Events & Designs. 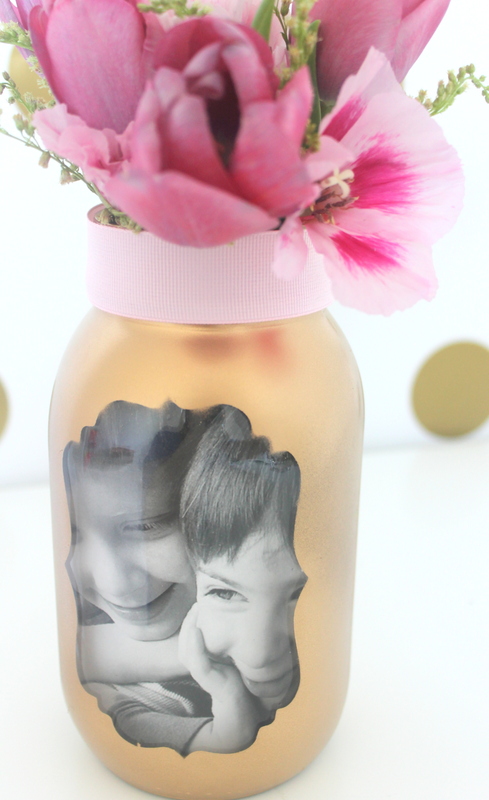 Mother's Day is just around the corner and what better way to show your love and appreciation than with this adorably stylish Mother's Day photo vase? 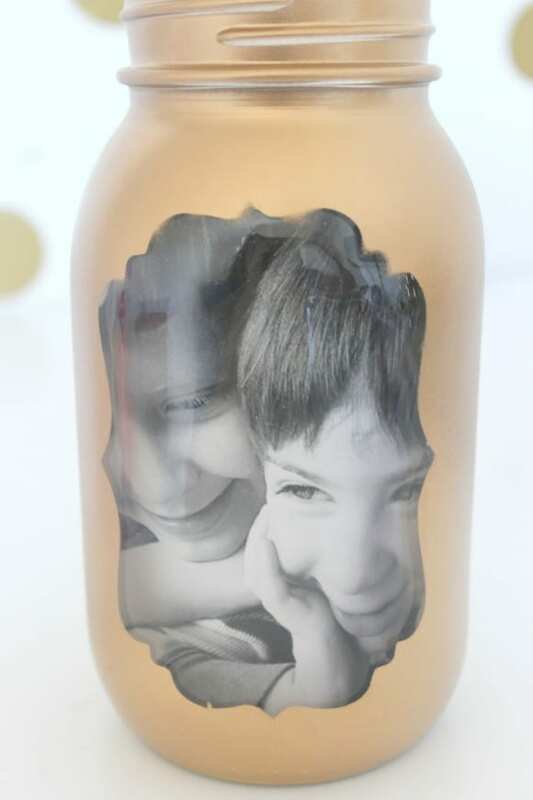 Not only is this project simple, but we love that you can personalize it with your own favorite photograph! 1. 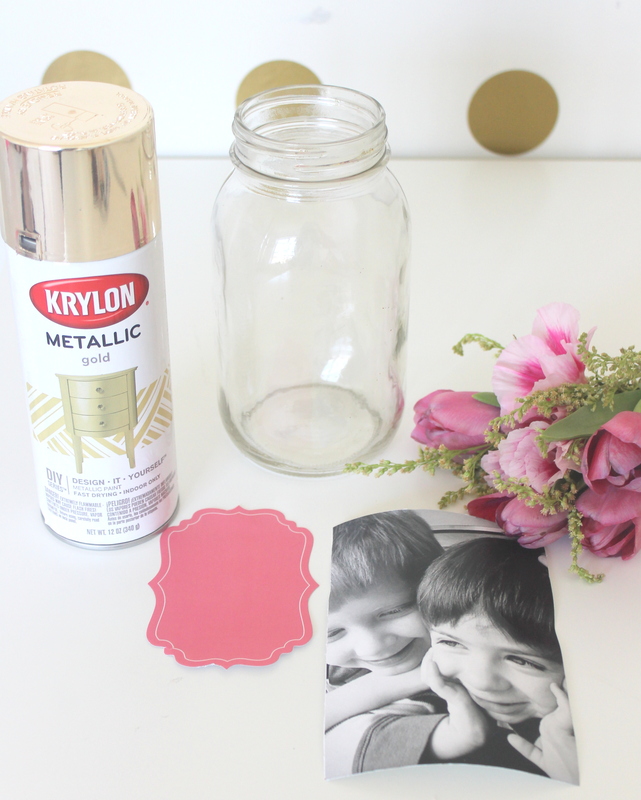 Begin by placing your decorative sticker on the front of your mason jar. 2. 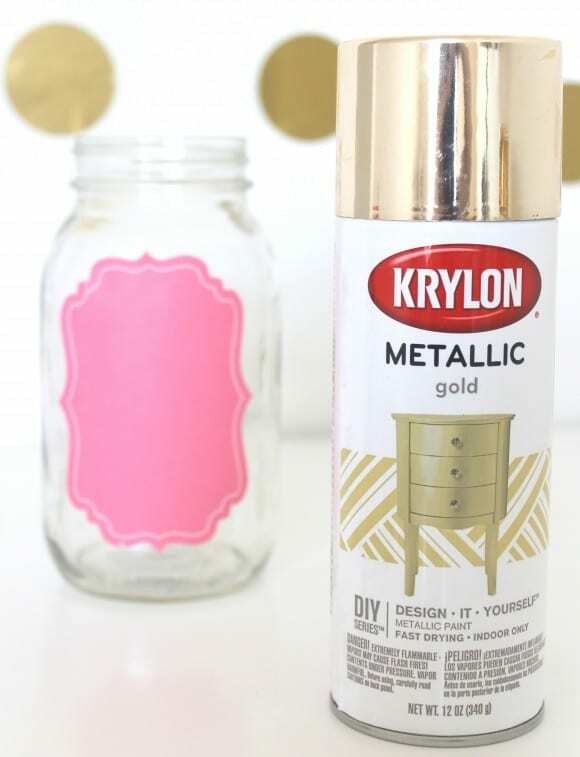 Next, it's time to spray paint your mason jar in the color of your choosing. We went with a chic metallic gold! 3. Once the paint has dried, carefully remove your sticker. 4. 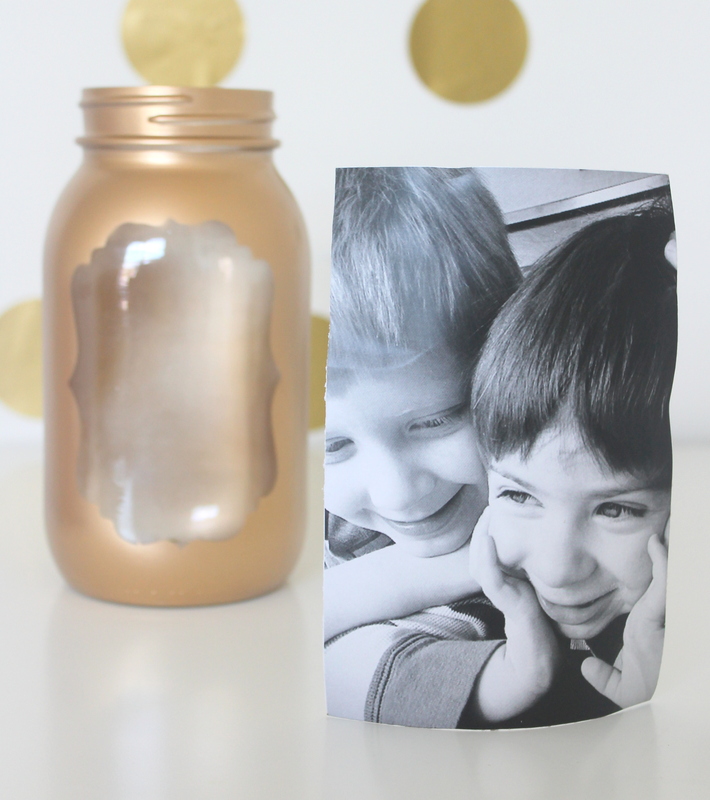 Now it is time to place your photograph in the mason jar. 5. Align the photo properly within the given space and then tape in place. 6. 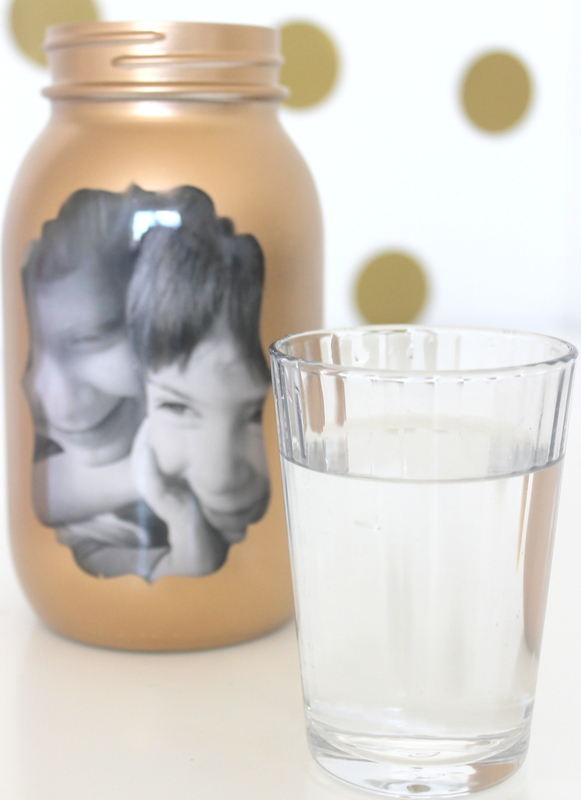 Next, fill your plastic cup or small glass with water and place into mason jar. 7. 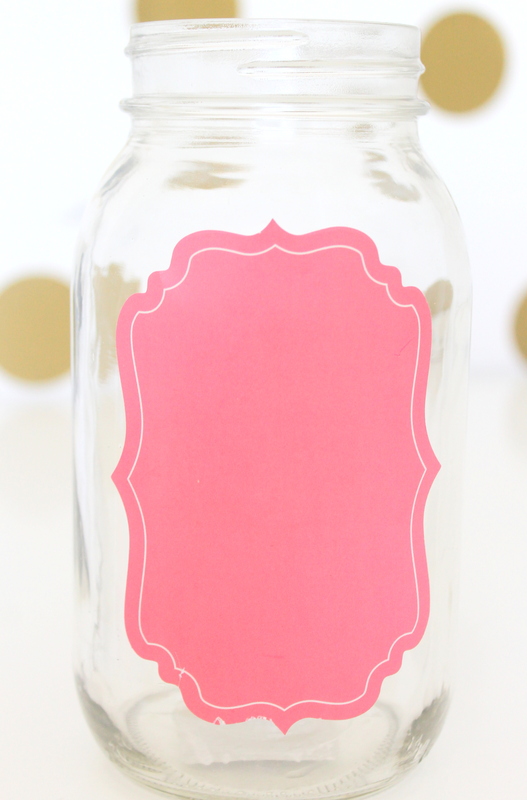 As an extra decorative touch, add a color coordinating ribbon around the top of your mason jar. 8. Lastly, take your flowers and arrange them in the cup of water within the Mason jar. You now have a gorgeous memento that any mother is sure to love! 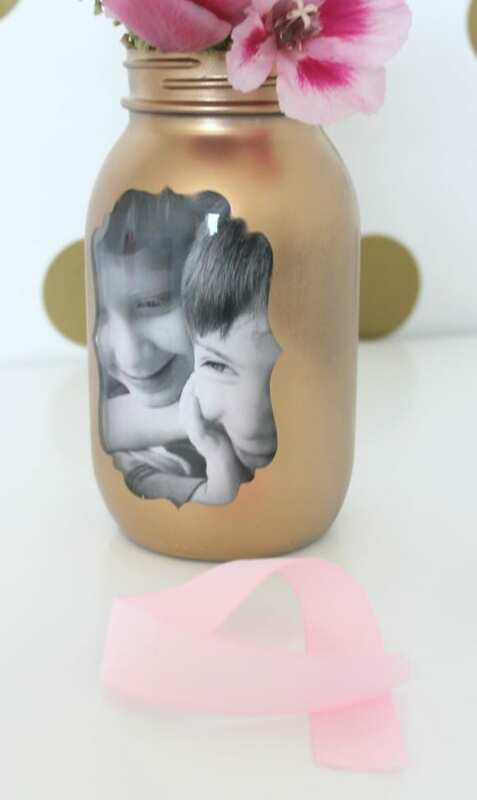 We hope enjoyed making this lovely, decorative Mother's Day gift as much as we did! Happy Mother's Day! For more inspiration, take a look at these gorgeous Mother's Day parties on our site and our free Mother's Day printables! To learn more about Missy and Kristen, please visit them at Sweetly Chic Events & Designs, and on Facebook, Pinterest, and Instagram. How did you get the sticker to not completely stick? Mine only peeled off the colored top, left with the whole sticker of white mess. What kind of cups have you ladies found that fit? 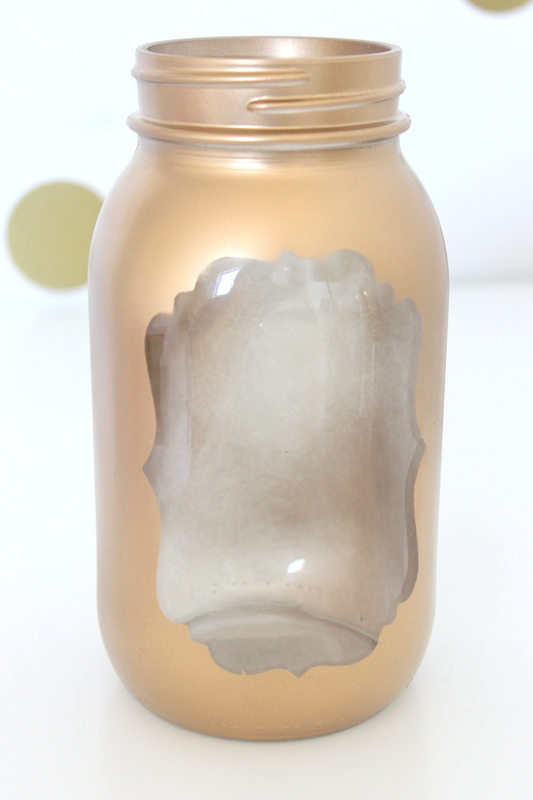 I am using the same kind of jar pictured above and I can't seem to find a cup to fit inside. I also can not find a cup that fits. But I used a razor blade to peel off the sticker.